*True 3D Lenticular Cards have the option of full colour printing on the back. Get fascinating “custom effect” cards for your marketing, promotions, or special events with novel and eye-catching 3D Lenticular Business Cards! Handy, dramatic, and with a much longer lifespan than paper cards, your marketing messages are sure to be read more intently, your logo looked at with more fascination, with these beautiful, cost-effective, and fun handouts. Our special printing method allows for up to 3 images to appear on a single surface. Inkable’s 3D Lenticular Cards are printed on high quality PET lenticular lens. As you twist the cards and view them from different angles, images may seem “3D” and morphing or popping out from the surface of the bookmark. We offer a variety of Lenticular Card options suitable for every small business need. Animation: This is the most complex lenticular effect, and involves motion samples. You supply us with either two or three images (in sequential motion, preferably master digital formats or beta cam footage for HD frames), and we develop a lenticular effect similar to the smooth movement of video. It is literally holding a story in your hands. CUSTOM SIZES AND CUSTOM SHAPES: These are not available through our online system. For specific diecuts, and unusual sizes, please use our Custom Order Form. 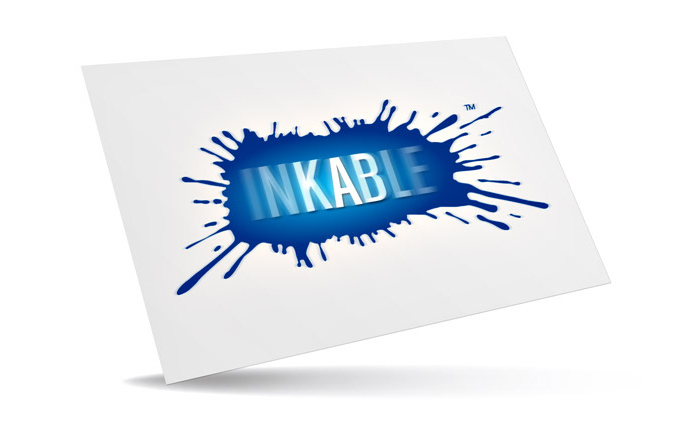 Excitement, lifetime value, and promotional messaging impact are taken to a whole new level with Inkable’s Lenticular technology. “3D’” Lenticular Cards are dynamic, fascinating, and highly functional when it comes to conveying your message with flair and emphasis. APPLICATIONS AND LENTICULAR EFFECTS. With the technology being highly fascinating with the creation of dynamic “moving” images, there are many ways to utilise this bonzer product. Direct Mail Marketing: Especially suitable for a new product or service launch, lenticular cards work well as direct mail pieces that are positioned as mail-to-web cards, in-pack cards, membership cards, promotions postcards, VIP gift cards, among other applications. The effect of this printed piece once received by your customers would be much like diecut cards – high value, fully custom, and sure to amplify your brand image. 3D Business Cards: If you’re (or more specifically, your brand) set to distinguish yourself from competition and want to ensure that your business cards (along with your logo, brand promise, and contact details) are more unforgettable than others, you can choose to even have full lenticular animation on the front (telling your brand story or brand promise) and have your details in full colour, on the back. Catalogue or Magazine Inserts: Too many people use this tactic, but with lenticular cards you are sure to move away from the clutter. Movement instantly draws your target audience’s eyes to your lenticular insert, effectively capturing their attention and favour. Point-of-Purchase: Larger lenticular cards can also be converted into 3D or animated point-of-sale cards to be placed where foot traffic is high (either in your own small business’ store, on tables in trade fairs, rented mall kiosks, and so on). With animated cards instead of the usual tent cards with static messaging, you can ensure that people stop and notice as the side-by-side movement of the lenticular lens will grab their attention. Use these for product labels, holiday sale markers, new product blurbs…you can definitely launch a creative campaign using these. VIP Cards/3D Membership Cards Invitations/Trading Cards: Make your marketing efforts stand out by choosing to print lenticular cards instead of the mediocre, “as expected” cards to delight your customers. For these applications, choose the True 3D effect to make important images, taglines, logos, or offers look as if they are popping out from the surface. This works well with lighter, plainer backgrounds, and solid text. *If you are just getting started with this novel product and are confused how to go about setting up your artwork, kindly shoot us an email and we’ll be sure to get everything sorted out for you. While unique fonts are great, don’t give the users of your cards a hard time. Pick something that is legible so all texts can easily be read. Lenticular Cards really do stand out, so don’t be afraid to inject some creativity when it comes to wordplay and lenticular effects. Make sure the design of your cards follow the design of your branded marketing materials as closely as possible to aid in brand recall. Always remember to choose the best lenticular effect for maximum impact. With offset printed cards, a colour shift of 10% is very common. This will be most apparent on artwork with solid color backgrounds. This includes the use of your official CMYK logo and brand fonts. Printing can sometimes make colours darker or lighter, so speak to your designer about this.